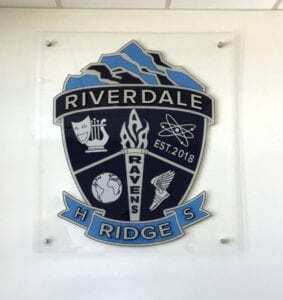 “Riverdale Ridge High School is 27J’s third comprehensive high school opening in August of 2018 with 9th and 10th grade students for the 2018-19 school. 11th grade will be added next year and for the 2020-21 the school will support grades 9-12, graduating their first class in May of 2021! RRHS provides students a robust offering of courses in the areas of Liberal Arts, BioMedical Sciences, Business/Entrepreneurship, Engineering, and will be adding courses in the Skilled Trades in future years. 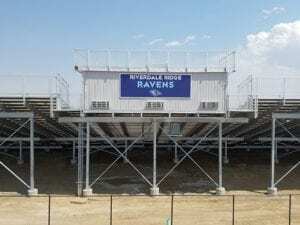 The school competes in the 3A Colorado League for sports and offer opportunities for students to engage in the Performing Arts. The campus was designed to support the future of education by creating areas for student collaboration and engaging seminar spaces. 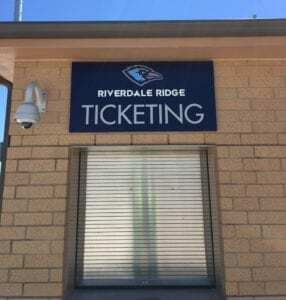 The school has a variety of amenities including a theater, two gyms, a weight room, a wrestling room, a dance studio, and a 4,000+ stadium for track/field, football, and soccer. The campus also includes three fields for softball and baseball as well as six competition tennis courts.